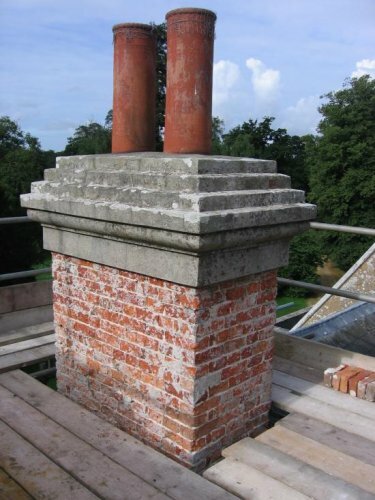 Chimneys are often the most exposed part of a property. 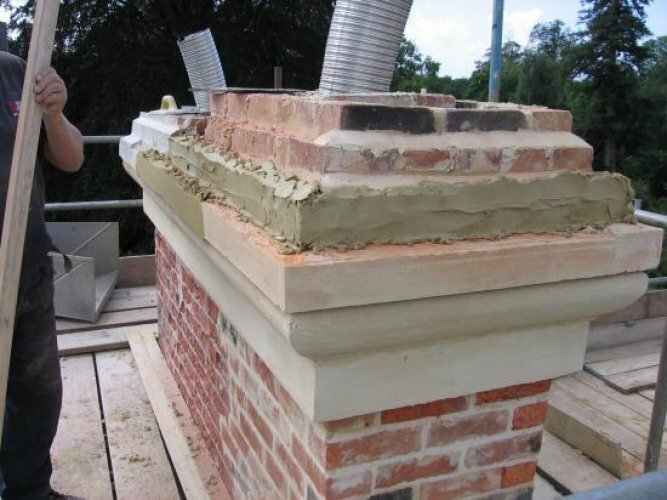 Over time pointing and weather flaunching can fail allowing rain to penetrate the stack; in combination with frost deterioration is accelerated. If neglected the stack will degenerate and eventually become unsafe and dangerous. If spotted in time new weather flaunching and pointing will extend the longevity of the stack but from time to time it may be necessary to rebuild the stack in order to ensure its permanence. 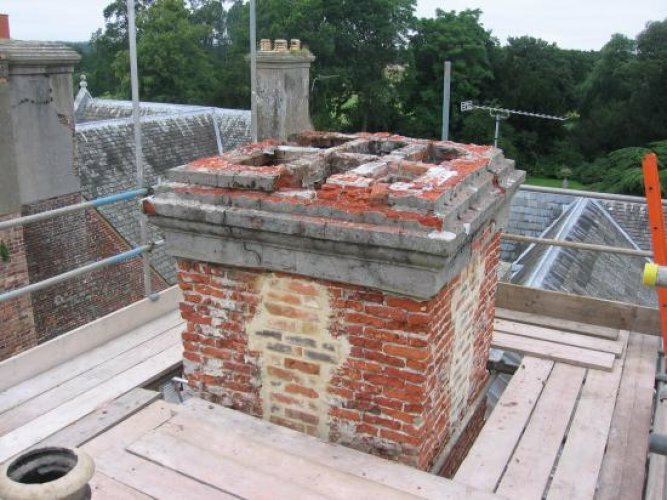 It is not just the weather that can cause serious harm, chimney fires can do untold damage. 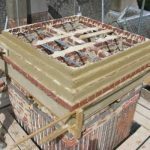 Billings provides a complete chimney repair and restoration service where a chimney has become damaged or unsuitable for use. 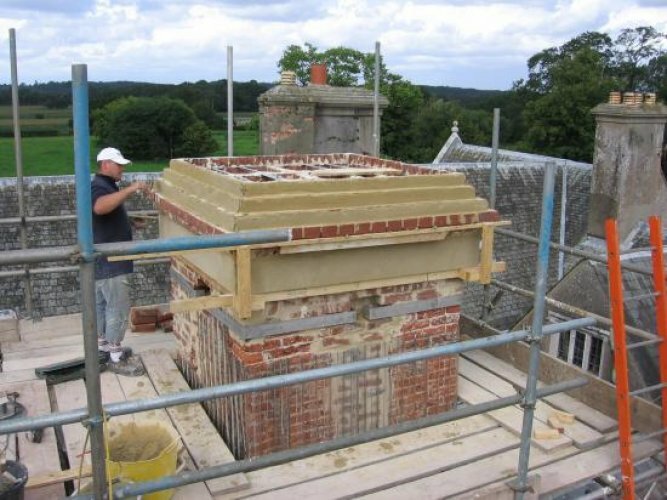 Billing has over thirty years experience in chimney repairs and restoration. 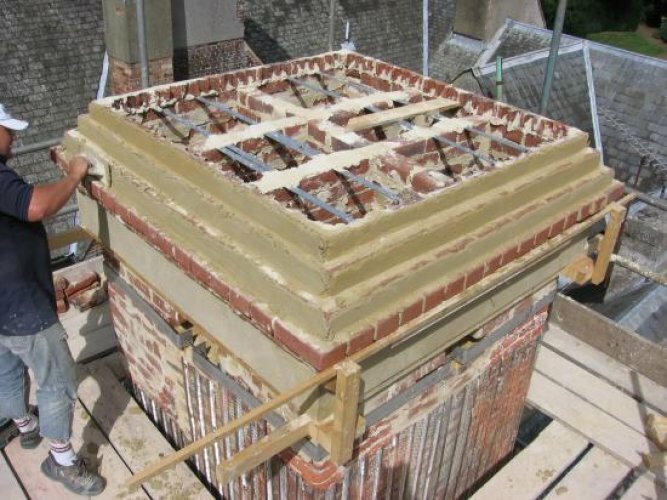 Our expert engineers will assess the extent of damage to your chimney system and run through the options with you. 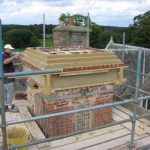 Our experience extends to period, thatched and modern properties, as well as national heritage buildings and commercial properties. 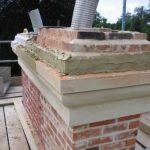 No-one understands better than us the importance of a fully functional, efficient and safe chimney. 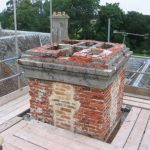 Whether you require a minor chimney repair, a full CCTV survey, major repair or full chimney restoration, we can help. 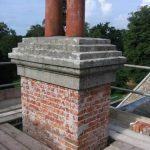 If you have a question about Chimney Repairs, just enter your details below stating how you'd like to be contacted and we'll be in touch as soon as we can. If you'd like a member of our team to give you a call back to discuss Chimney Repairs, please just enter your details and we'll be in touch as soon as possible.